Learn how to get rid of mealybugs easily and effectively to keep your houseplants and tropical plants safe! Mealybugs are not only the common sap-feeding pests but they’re also known for virus transmission. Mealybugs are unarmored scale insects. They feed on plants’ vital sap by inserting their needle-like mouthpart (stylet) and leave their hosts sabotaged. Where Do Mealy Bugs Come From? They usually grow naturally in warm and humid climate. Whereas, in cold climates, mealybugs are less common and seen more in the spring and summer. They overwinter themselves as nymphs and eggs and spreads through previously infested plants when the temperature warms up. Ants spread the mealybugs infestation as well. Mealybugs, like aphids and other scale insects, feed on the sap of the plants and excrete honeydew. Honeydew is the top food source for ants, and that’s why they protect mealybugs from predators and transport them to other plants. Thus, increasing the infestation. Also, this honeydew excretion promotes the sooty mold fungus on the affected areas of plants. When these bugs start growing in number in a particular area, they develop a wax-like white, powdery coating upon themselves that shields them and protects their eggs. This covering makes them look like bulks of cotton. Also, a plant with mealybugs feeding on it looks malformed and weak. Yellowing leaves, dropping flowers, buds, and fruits can be the symptoms. 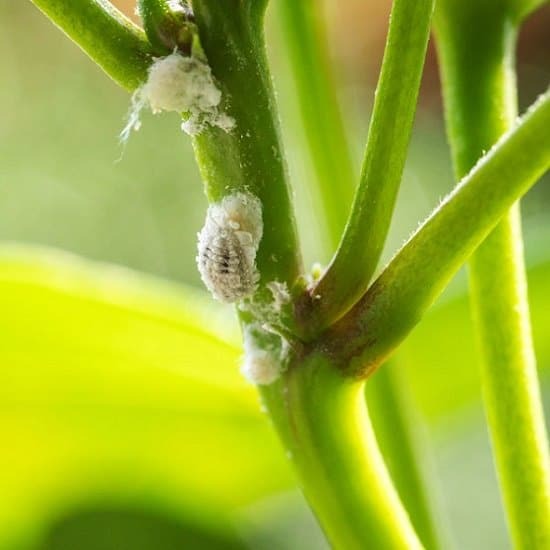 Mealybugs can be found on any part of the plants, but they prefer the tender new growth and grow on the concealed areas. Look for them around stem joints, under the leaves and barks, in crevices and other less exposed parts of the plant. Which Plants Are Most Affected? These pesky pests affect a variety of vegetations, especially the tropical and subtropical plants. Your greenhouse plants, houseplants, summer annuals, ornamentals like hibiscus and gardenia, and fruit trees like citrus, grape, guava, and mango are most targeted. 1. First and foremost, be watchful while planting. 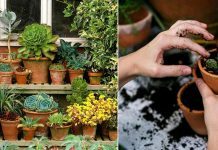 Make sure you don’t use already infected plantlets or potting soil. 2. Inspect your plants regularly as spotting bugs as early as possible is very helpful. Use water spurts to get rid of preparatory infestations. 3. Don’t overwater or keep your plant wet. As stated above, these bugs tend to breed faster in moist, humid conditions. 4. Pruning may also help to eliminate these cotton mass insects. Wipe the leaves and petioles that look infected, or simply pluck them off. This will help control their spreading. 5. Add 1 1/2 tablespoon of Neem oil, 1 tablespoon of mild liquid soap in a liter of lukewarm water. Fill this solution in a spray bottle and spray this on the affected plants. This treatment can eradicate the mealybugs and any other kind of pest infestation or fungal growth, gradually, after a few uses. The neem oil insecticide is natural, highly effective and safe. 6. Insecticidal soap or any liquid soap that is free from scents and additives that can harm the plant may be used to wash the mealybugs away. Mix 2 tablespoons of soap (increase the amount further according to the severity of infestation) in a gallon of water and spray. 7. Minor outbreaks can also be cleared with some alcohol on q-tips. Furthermore, a combination of rubbing alcohol with soapy water can be sprayed on the plants. The recipe is here to follow! 8. Insects that eat mealybugs can serve as the ‘guardians’ of your garden. Ladybugs, pirate bugs, lacewings, etc. are all very helpful for protection against mealybugs. 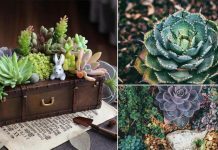 Next article14 Alluring Mason Jar Fairy Garden Ideas You Should Look Now! They can also live in the soil around the plant roots. If I see mealy bugs on the plant then I treat the soil also. 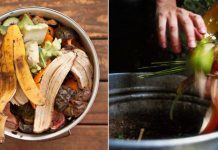 If possible, I fill a large container with water and mix some dishwashing liquid into it, and then submerge the infected plant pot into it and gentle swish it until no more bubbles come up. If the plant pot is too large or heavy then I pour the solution heavily through the potting mix in the pot to soak it, but this way isn’t as thorough as being able to submerge the pot. Once I bought a few infested with mealybugs Laurus Nobilis plants. 3. repeat the procedure two more times one day apart. Enjoy your healthy garden onward! For the soil is much better to use some lime to disinfect it, btw. HINT: better avoid to use a plastic can, PLEASE!